Ideal to have as essential part of your pet's front line first aid kit to use on sprains, strains, wounds, cuts, bruises, bites, skin conditions and other inflammatory ailments. Benefit from the anti-inflammatory, antiseptic and anti-fungal qualities of buchu oil in a cool, soothing gel. 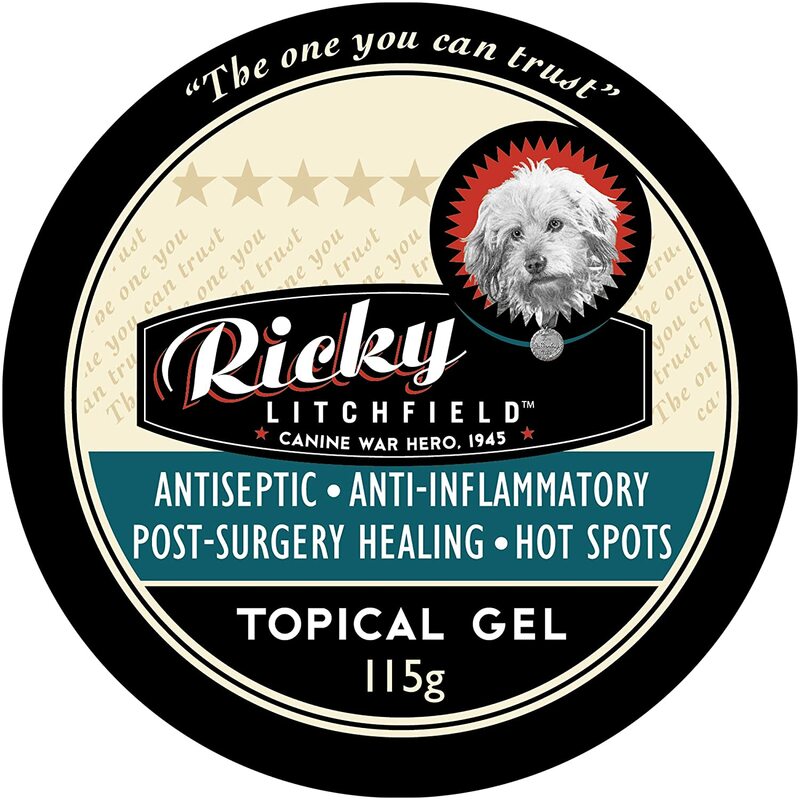 Use the Ricky Gel on its own as a topical treatment, with a dressing or with massage as applicable for potent relief - will achieve rapid results and accelerate the natural healing process. The gel works from the outside in and can be used with Ricky Shampoo and complemented by Ricky Capsules that work from the inside out. The Ricky Gel is an all-natural product with no side effects that is backed by scientific research that validates the anti-inflammatory, antiseptic and anti-fungal property claims of the active Buchu oil ingredient. The Gel is clear and non-staining. Ricky Gel is another product in the range that has also been safety tested on humans and is assured to provide a safe and effective treatment for your pets. Made in the USA and backed by an unconditional 100% money back guarantee to ensure customer satisfaction. - Want an all natural, preservative free skin treatment for your pet? - Need a topical treatment for skin conditions? - Require relief for your pet's itchy skin condition?